Nursing informatics has a unique leadership role to ensure a digitally enabled health system delivers on the promise of better health outcomes for all Australians. Nursing is the largest single profession in the healthcare workforce and provides continuous care to patients during inpatient stays and to consumers within community and primary healthcare settings. The role of nurses in the digital environment has the potential to not only deliver improvements in efficiency and patient outcomes, but also to facilitate improved consumer and clinician experience. Are you involved in nursing? Do you have any suggestions, ideas or would like to get involved in this special interest group? 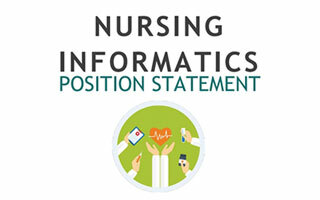 Nursing Informatics Australia (NIA) is the pre-eminent group of nursing informaticians in Australia. NIA membership is open to all registered nurses and registered midwives. This HISA SIG is a good reference point to learn about the developments in Nursing Informatics both nationally and internationally. Over the last decade the healthcare environment has seen a transformation of work practices and an explosion in the use of information and communication technologies. As the current chair of NIA, I would love to continue to build this special interest group, focusing on what we can offer our members and associations. I have been a member of HISA from its inception, and a member of the NIA Committee for the past 10 years, six of those on the executive. I am a nurse informatician with over 30 years of clinical and HIT work experience. I’ve worked in a variety of positions across a number of organisations so have an excellent knowledge of the Australian health system. I am widely respected for my depth of knowledge in informatics and passion for its use within health care at all levels, promoting positive patient outcomes whilst enhancing safe and effective health care. I bring experience, knowledge, and vision for building the future of NIA. Dr Cummings is currently a senior lecturer and Graduate Research Coordinator in the discipline of Nursing and Midwifery in the School of Health Sciences at the University of Tasmania. She has over thirty years’ experience in healthcare in Australia. She is a registered nurse and midwife and has worked in both clinical and administrative positions in nursing. She has qualifications in health informatics and ICT. Elizabeth has been involved in a range of state, national and international research projects in e-health. She is committed to the integration of nursing informatics into nursing education. She has previous experience with inter professional learning and the use of simulation. She believes in the improvement and use of technology to enhance learning and is involved in research projects related to these areas in conjunction with other national and international research teams. Jen has been employed in the health service industry for 40 years in clinical, educative and managerial roles, and has an understanding of how technology can influence patient outcomes and service delivery efficiency in the complex healthcare environment. Having worked on a number of local, state and national health informatics activities, she is committed to supporting major health reform through innovation and e-health initiatives. Jen is Director of Digital Health and Innovation in the UTS Faculty of Health, and has co-authored chapters addressing health informatics in nursing texts. In addition to being a member of the Healthcare Information and Management Systems Society and a Fellow of the Australasian College of Health Informatics and Australian College of Nursing, she has been the Secretary of the HISA Board since July 2014 and was recently elected for her sixth term as Chair of the HISA NSW Branch. She also received CHIA credentials in 2014. Donna Barton is a registered nurse with over 30 years of clinical and operational experience mainly in the Aged Care sector. She has held nursing management positions involving education, quality, project management, safety and policy development roles. Donna has an intimate understanding of clinical workflow and how it relates to organisational policy, procedure, business operations, national standards and regulatory requirements. Donna created the first Health Informatics department in an aged care organisation in Australia where she has implemented clinical information systems on a large scale. These successful migrations have been change managed from paper to electronic, electronic to electronic and across multidisciplinary teams. 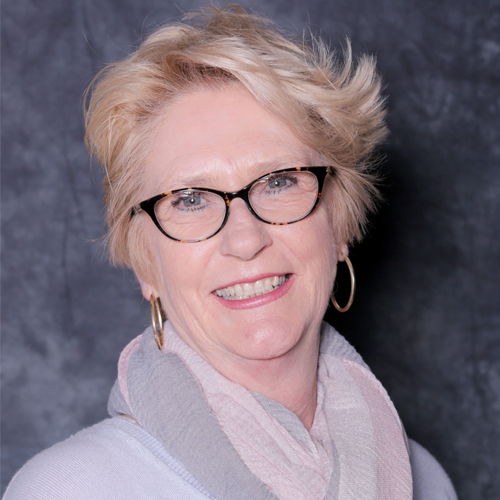 Donna has been an active committee member of HISA’s special interest group Nursing Informatics Australia (NIA) for 6 years. Donna is an inaugural CHIA (Certified Health Informatician Australasia), the 3RD registered nurse in Australia to gain the credential and one of the first in the aged care industry. Donna wants to continue to work collaboratively on forums such as the HISA SIG’s to help the transition to a 21st century workforce that spawns nurses and other clinicians capable of meeting the challenges of e-health care delivery. The use of emerging technologies and how we manage and share health information will be an important factor in how we encourage empowerment of people to be involved in their own care. I have 30+ years of nursing clinical experience including Healthcare Quality and Safety and Healthcare Management, combined with over 15 years actively involved with the field of health informatics. This includes roles in clinical informatics management and education, project management, clinical and stakeholder engagement, accreditation, business continuity planning, and policy and procedure review. This has provided me with in-depth knowledge on the capabilities of digital health to support health care and quality patient outcomes. With post-graduate studies in health informatics and, as an inaugural Certified Health Informatician of Australasia (CHIA), I have demonstrated my commitment to driving increased recognition of digital health. 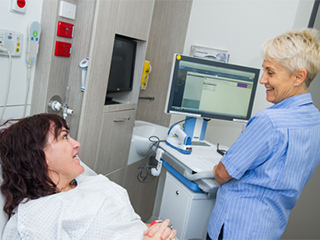 Recent roles at the first, fully integrated HIMMS Stage 6 digital hospital in Australia and as a Clinical Nurse Consultant for electronic medication management provide a sound foundation to help drive NIA into the future. My passion for health informatics was sparked in 2010 as a graduate nurse who witnessed her colleagues struggling to adapt to evolving technologies and consequent models of care. Keen to be part of the growing movement promoting informatics skills in all healthcare settings across multiple disciplines, I embarked on an academic research pathway that focused on experiences with electronic platforms and the importance of user-centred design. My PhD research with nurse managers and theoretical knowledge of complex sociotechnical environments has given me invaluable expertise and insight into the issues facing the health workforce today as we move forward in this exciting era of digital health. I had the privilege of assisting HISA and the Australian College of Nursing with a nursing informatics position paper, and hope to continue similar important work. I’m keen to contribute further with my developing user experience design, start-up experience, advocacy and leadership skills. I have 28 years of nursing experience, including 5 years as a Clinical Application Analyst (Clinical Nurse Consultant) -with ieMR at Cairns Hospital. I have a major role in nursing informatics providing leadership in the development, implementation, education and optimization of the digital health system. I have an excellent foundation of knowledge and detailed expertise of clinical data, system information and workflow processes. My primary focus is on clinical standards and high-quality patient centered care. As a committee member with certification in Health Informatics Australasia (CHIA), I would contribute and participate in a leadership role, providing skills and education to promote the future of Nursing Informatics Australia (NIA) in the digital era. Operated by nurses and leading nursing internationally, ICN works to ensure quality nursing care for all and sound health policies globally. The first national statement to affirm the role of nurses in digital healthcare at all levels and in all health settings.